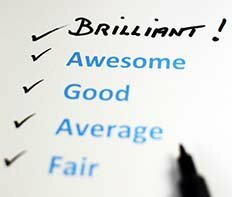 The Performance Appraisal, or Annual Review, is a process where an employee with his/her manager establishes an annual performance and development plan, monitors progress against the plan and, at the end of the time period, evaluates the employee’s overall contribution to the organisation. When thinking about employee performance appraisals many managers quickly picture themselves sitting in a formal setting, with their employee providing feedback on the employee’s performance over the last 12 months. Many managers will find this to be an uncomfortable time consuming process and, as a result, they debate the value of the annual performance review process. In the diagram below you can see that the appraisal process is not an annual event it is a never-ending process, there is no start and no end ... it’s an ongoing cycle of planning and evaluation of employee performance. Note: It is common to see the two steps "Provide Feedback" and "Record Performance" combined to create a three stage performance appraisal process, as shown below. An example of how the appraisal process operates over a twelve-month timeframe from developing a performance and development plan to appraisal interview and follow-up. 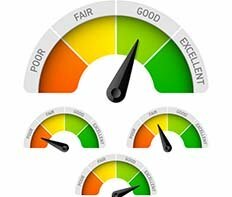 Determining how you are going to measure or evaluate your employee’s performance, including what criteria or key performance indicators you are going to measure to evaluate the employees overall contribution and which type of rating scale you will use. 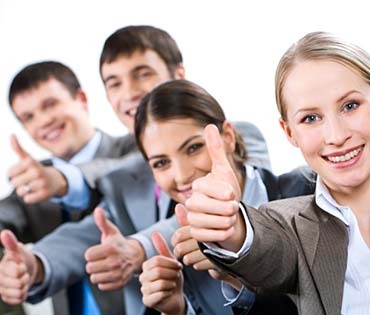 Note: it is common to evaluate an employee’s performance and their behaviour separately. 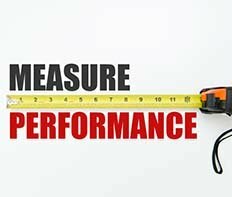 Measuring your employee’s performance should, where possible, be completed using tangible performance measures that are free from bias however this is not always possible. In a perfect world the employee should be able to collect their own performance data and present their performance to you. Ian Pratt advocates for you to provide feedback to your employee on his/her performance each month. In the feedback and follow through step you summarise, in an appraisal interview, the monthly feedback that you have provided for the employee during the year to determine their end of year performance rating. 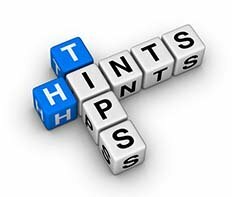 Given the purpose of the appraisal interview is to have a conversation about the employees performance and agree on a rating (A or agree to disagree) it is generally best to avoid a conversation about addressing performance gaps during the appraisal interview, these can be addressed in a follow up meeting. The end of year appraisal interview should not be viewed as the only time during the year that managers and employees communicate about the employee’s performance. More frequent conversations help keep everyone on the same page about current performance, develop a stronger relationship between employees and managers, and make annual reviews less stressful. 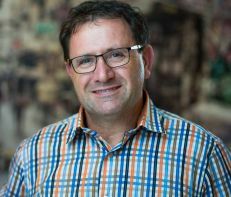 For organisations that aim to establish high performance teams Ian Pratt advocates for the managers to give monthly feedback in a One On One and to align this feedback with the performance and development goals established in the appraisal planning meeting. The diagram below shows the performance appraisal and one on one process as an integrated performance feedback process. 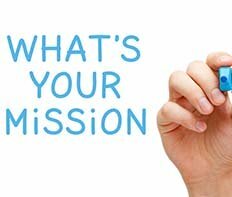 Ensuring the objectives established in the annual performance plan are aligned with the KPI’s in your one on ones will ensure the performance feedback is aligned and that there are no surprises at the end of the year. As you can see, once you have developed your performance criteria for the employee appraisal you can then add this criteria to your one on one template (get your one on one template here). You can then give rating feedback in each of your one on one’s against these criteria. By ensuring this alignment exists, you will eliminate surprises when the employee receives their appraisal performance rating. Many managers find the performance appraisal interview to be a daunting experience and they delay their appraisal interviews until they are forced to have them. Any delay to your employee performance reviews will make your people feel devalued, if it is not important enough for you to find time to complete your employee reviews, you cannot really value your employees. The amount of time required to prepare for a performance review depends on how easy it is to access to the information that you need to rate your employee, and which rating method you are using and how diverse the tasks completed by your employees are. Before you enter into a performance review you should have formed an opinion on the rating that you intend to give your employee, however you should be open to influence and flexible to change your rating based on any evidence that the employee may present. Once you have formed an opinion take time to ensure the rating you have in mind is consistent with performance feedback that you have provided throughout the year. A key driver of employee engagement is “the manager being aware of the employees performance” with this in mind 20 minutes before your scheduled discussion, complete a quick review of the evidence pack that you have assembled for the employee. It is wise to book an appraisal interview sufficiently in advance that both the manager and the employee have time to prepare for the discussion. Generally, 10 – 14 days before the interview is considered enough time. in the body of the meeting invitation advise the employee of the purpose of the discussion, what the employee is expected to prepare for the session and how the session will be conducted. Before you send the meeting requests to your employees, speak to them. In your team meetings in April, May and June remind your team that your end of year reviews are coming up in July. This will help your people to feel more relaxed about their performance reviews. As with all meetings it is important to have an agenda for an employee performance review. The following agenda should help you to get the most out of your review meeting. If you are giving open honest and constructive feedback, from time to time you will come across someone who is aggressive, defensive or who simply remain silent. What do you do when you encounter this type of person? You will find that some managers view their appraisal interviews as an annual event or a task that needs to be ticked off on their “to do” list. Where, in reality the performance appraisal is just one step in the overall performance management cycle, this cycle starts when a new employee commences and ends when they move to another department. Occasionally you will come across an employee who is not happy with their final rating. In which case you should allow your employee to note their opinion on the appraisal form, this does not mean that you are accepting their opinion, you are simply acknowledging it. Normally someone more senior to you or someone in HR needs to confirm that you have completed all of your appraisals, they may require copies of the performance appraisal or a confirmation that you have completed them. More importantly you should ensure that your employee has received a copy of the finalized signed off appraisal document, and where relevant a copy is placed on/in their employee file. Sometime soon after your end of year reviews you will have another session with each employee to set and agree expectations and development goals for the coming year. Whilst tempting, it is uncommon to combine setting expectations the performance appraisal interview, mainly because the combined meeting would run for too long. If, from year to year you make changes to the expectations that you set for your people you will need to ensure that you also update your one on one process to reflect the new expectations. You should view your employee performance appraisals as just one step in your performance management program. Before and after your mid year review you should have regular one on ones with your people. 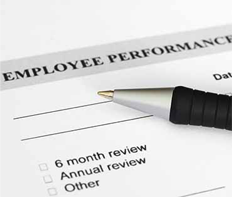 After your employee performance appraisals you may need to update your appraisal forms, and transfer any resulting actions to your time management system for follow up, including actions that your employees undertake.